Come to our events in North Mankato, MN. Starr Cycle, Disabled American Veterans of Minnesota (DAV), Military Order of the Purple Heart Organization, Minnesota Motorcycle Safety Center, A.B.A.T.E., American Honda Powersports, LS2 Helmets, Parts Unlimited & an anonymous Mankato-local motorcyclist donor are teaming up to give away a 2013 Honda NC700X-DCT street legal motorcycle. At the donor’s creative and unique request, the giveaway applicants for this motorcycle are specifically limited to honorably discharged US Veterans that have lost their left leg or left foot, who still have the desire to ride motorcycle -either as a new rider or as a returning rider. The goal of this no-strings attached giveaway is to give a very special and appreciated Veteran the opportunity to still ride a motorcycle after giving so much for our country. Any US Veteran who fits the criteria (listed below) throughout the United States is welcomed to submit an application either in person, by mail or by email to Starr Cycle (who will pass the applications along to the donor) to be selected. The donor, dealership and DAV have made it their mission to find the ideal recipient by spring 2019 and are asking all the country’s and community’s help to find the best applicant to gift this motorcycle to. The donor said that being able to share the joy of motorcycling and see a veteran who has given up hope of ever riding “on two wheels” again would bring him happiness that no credit or money could buy. He hopes upon finding a match for this motorcycle, that this may bring awareness to automatic motorcycling options and inspire others to do something special that could change someone’s life. The donated motorcycle is a pre-owned 2013 Honda NC700X-DCT with approximately 58,000 miles on it. It has been very well maintained and cared for by the donor. DCT stands for “Dual-Clutch Transmission”, a transmission patented by Honda to successfully make a motorcycle automatic, clutch-less, and without a left foot shift. The donor shared with us that this motorcycle has traveled to all 4 corners of the United States and into Canada, on regular unleaded fuel, and that it reached over 60mpg on all ventures. The donor recently had the motorcycle fully serviced- meeting all standard maintenance checks, while renewing all maintenance items such as the oil filter, air filter, sprockets and chain. The donor wanted to make sure the recipient will not have to worry about any initial costs or servicing on this hopefully life-changing gift. A.B.A.T.E.- advertising, contacting Veterans & a year membership to A.B.A.T.E. Self-written applications should include applicant’s name, address and as many forms of contact info as possible. 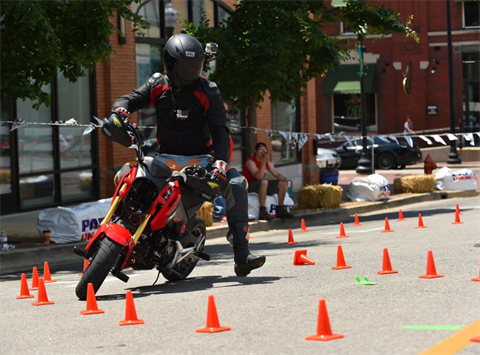 Using the 10 criteria points listed below as your outline, create a unique, personal description of why you would like to be selected to be the recipient of this motorcycle. The more information you provide, the better chance you will have in the selection process! The cutoff for application submissions is March 21st, 2019. The donor would like the recipient to take delivery of the motorcycle with enough time to get him or her registered for a Motorcycle Safety Course while spring classes are still available (paid for by MMSC). The donor has offered to deliver the motorcycle to the recipient should they not be local to Mankato, MN or able take delivery of the motorcycle at Starr Cycle. The donor wishes to meet with the recipient and help he or she become familiar with the operation and riding of this motorcycle. All applications received will be forwarded to the donor for the selection process. All information provided will be held in confidence, none made public by the donor. Donor notes, giveaway rules may be revised as needed. Overview: More info to come! 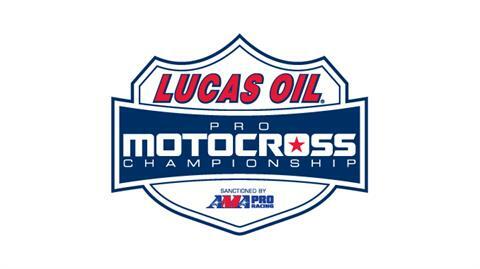 Overview: Pro Nationals make their stop in Minnesota!! Get your tickets and watch the Pro's!